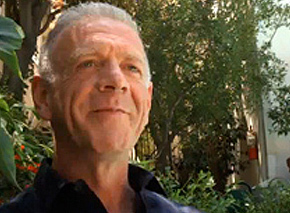 Born in Casablanca, Morocco, Jean-Louis Rodrigue is an internationally recognized acting coach and teacher of the Alexander Technique, and a pioneer in its application to theater and film. He began his actor training in 1967 with Herbert Berghof at the HB Studio in New York. In 1970, William Ball awarded Rodrigue a full scholarship to study in the Advanced Training Program at the American Conservatory Theater in San Francisco. During his training and performing at ACT, Rodrigue discovered the Alexander Technique. He spent three more years training as an Alexander teacher with Frank Ottiwell and Giora Pinkas at the American Center for the Alexander Technique, San Francisco. Rodrigue has taught the Alexander Technique for more than 35 years. His unique approach to movement education and to improving the levels of performance has brought international recognition. In the music world he was part of the faculty at the Verbier Festival and Academy (1998-2005), a music and theater festival in the Swiss Alps, and he is currently a faculty member at the UCLA Herb Alpert School of Music. He founded the Alexander program for the Los Angeles Philharmonic Institute and taught the young musicians and conductors for six years. Rodrigue’s unique style of acting coaching and character movement choreography can be seen in many feature films. He most recently coached Matt Bomer (HBO's The Normal Heart), Leonardo DiCaprio (J. Edgar) and collaborated with Ang Lee and screenwriter David Magee in the development of the tiger movement in Life of Pi. Rodrigue coached Scott Speedman in the award-winning Barney's Version, Citizen Gangster and the ABC series Last Resort. His other film credits include W with Josh Brolin; Human Nature with Patricia Arquette; Passion Fish with Mary MacDonnell; The Affair of the Necklace with Hilary Swank; The Cat's Meow with Kirsten Dunst; The Time Machine; Seabiscuit with Elizabeth Banks; and Bee Season with Juliette Binoche. He has worked with many actors and performers including Sir Ian McKellen, Forest Whitaker, Paul Dano, Luke Kirby, Martha Argerich, Herb Alpert, Helena Bonham Carter, Keanu Reeves, Tate Donovan, Julia Sweeney, Jonathan Pryce, Simon Baker, Joely Richardson, Sally Kellerman, Courtney Thorne-Smith and JoBeth Williams. In theater, Rodrigue was awarded a fellowship grant from the Montalvo Arts Center to develop and direct a play adaptation of Bernhard Schlink’s best selling novel The Reader. He most recently worked with Chris Pine in The Lieutenant of Inismore at the Mark Taper Forum and with Rita Maffei and Larry Mossi in an Italian production of Pamela Gien’s award winning The Syringa Tree at the Teatro Stabile di Innovazione in Udine and at Il Piccolo Teatro di Milano, Italy. For her performance, Maffei won the Gold Medal from the President of the Italian Republic. Rodrigue has also worked with Gulu Monteiro on The Bacchae at the Getty Villa, the circus artists of Cirque du Soleil’s Ka at the MGM Grand in Las Vegas, and he has collaborated with director Joanna Settle and Heather Raffo in her acclaimed play Nine Parts of Desire at the Geffen Playhouse. He has collaborated with Larry Moss on Daisy White’s Sugar, The Syringa Tree at Playhouse 91 and Bo Eason’s Runt of the Litter at the 37 Arts Theater, both in New York. He has coached actors working at the Royal Shakespeare Company, Mark Taper Forum, the Geffen Playhouse, the Pasadena Playhouse and on Broadway, as well as the artists of the Cirque du Soleil in La Nouvelle Experience to improve performances and prevent injuries. He is currently a faculty member at the Howard Fine Acting Studio in Hollywood, and teaches regularly for Larry Moss.